The student connects a specific object to its number, observes the illustration, and then recalls images representing numbers to connect the number combinations in his or her mind. When the student thinks of the numbers, the answer is automatically remembered by the visual and sound association. 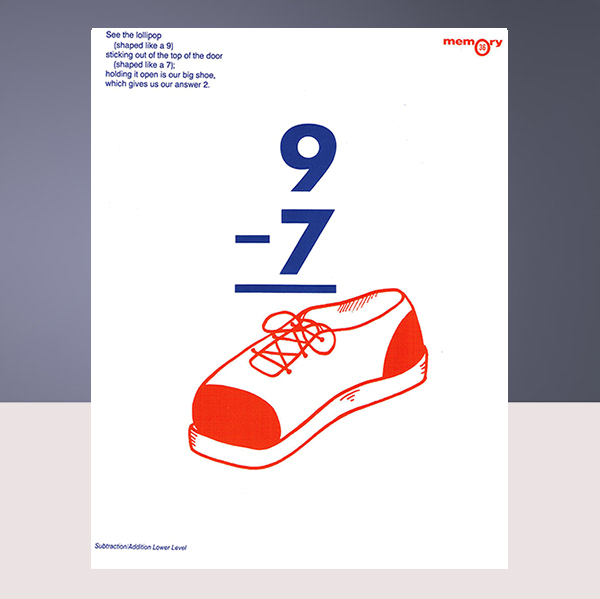 Ideal for young learners – numbers and pictures. Example: Nine looks like a lollipop, seven has the shape of a door, two sounds like shoe. Now, picture the lollipop on top of the door with the shoe stuck at the bottom of the door. 9 – 7 = 2. 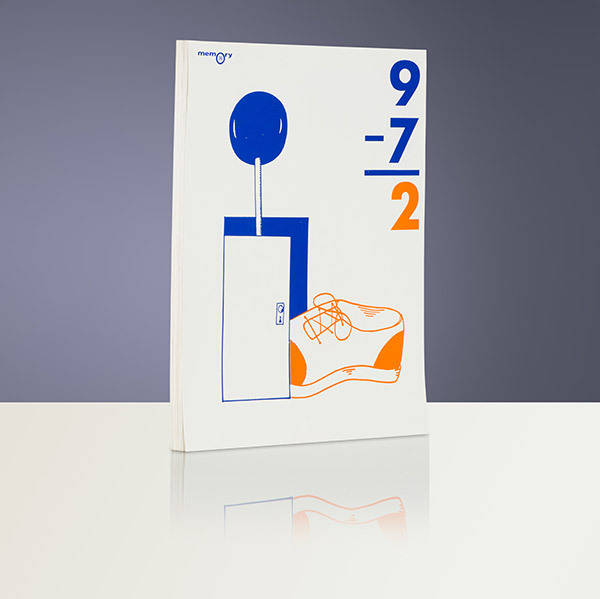 On one flashcard side is the illustration of the pictures and on the other side is the subtraction operation above the answer as its visual: 9 – 7 = shoe. Can also be used for learning addition facts: 7 + 2 = 9, 2 + 7 = 9. 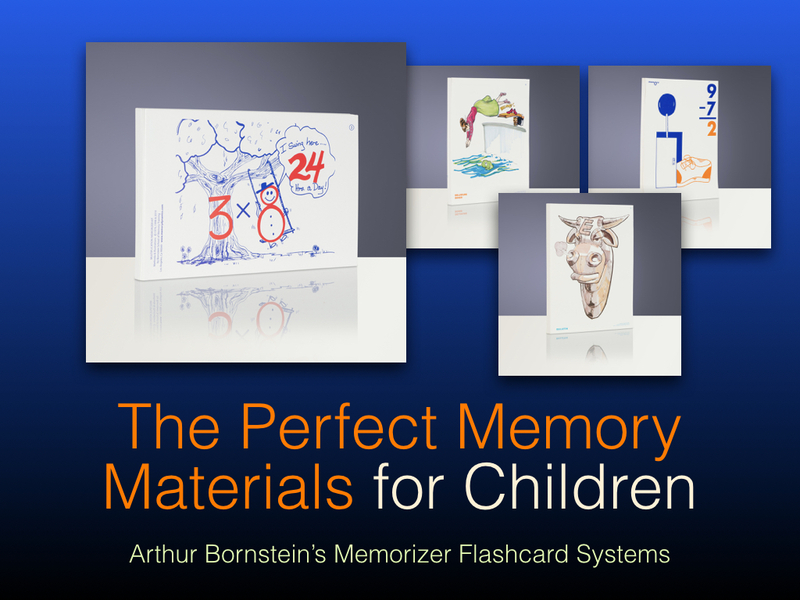 Each Subtraction/Addition Memorizer Kit includes 110 large 8.5 x 11 colorfully illustrated flashcards with the association on the back, study guide, and teacher/student instructional CD.